JP Teres. What a weird name. Seems to me Malaysians love abbreviations and it takes a local KLite to make the association. When I first arrived KL, I was told to go to BB Plaza, where’s that? Oh, Bukit Bintang Plaza, duh! Then there’s SSJ, SS, etc, etc, … don’t ask, I’ve no idea! Besides, I don’t have a ride to venture out of KLCC (another one!) and if I do, it’s chauffer driven in the un-metered taxi! So what does JP Teres stands for? 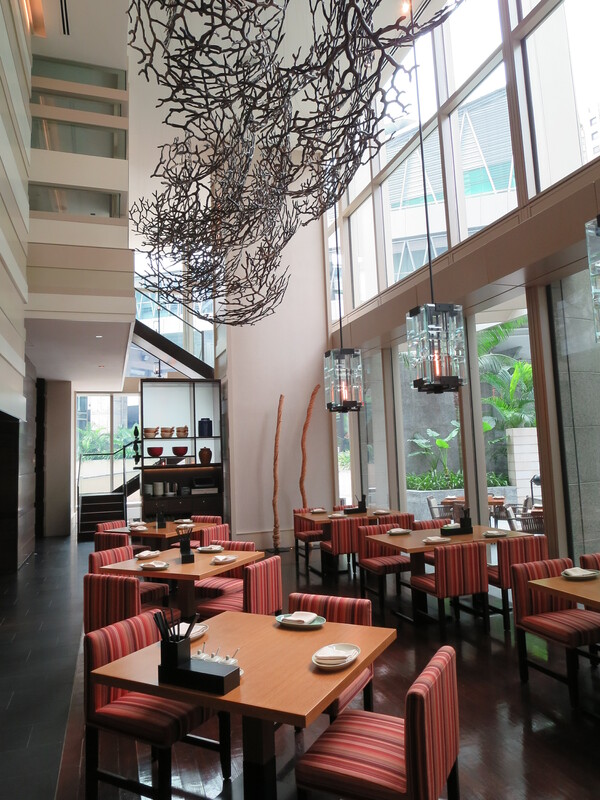 It’s a cafe serving authentic Malaysian cuisine at Grand Hyatt Hotel at Jalan Pinang, duh! JP! And ‘teres’ I was told is a Bruneian spelling of ‘terrace’ as the Sultan of Brunei owns the hotel. With overseas city-slickers in town, I wanted to show them local Malaysian specialties without too much walking or melting under the sun, Madam Kwan’s at Pavilion near the fast-food court came to mind, but it is extremely noisy and not an impressionable entertaining spot. Since I have eaten at JP Teres a few times and also at its Western-Asian fusion sister, Thirty8 (my review here), I decided on lunch there. 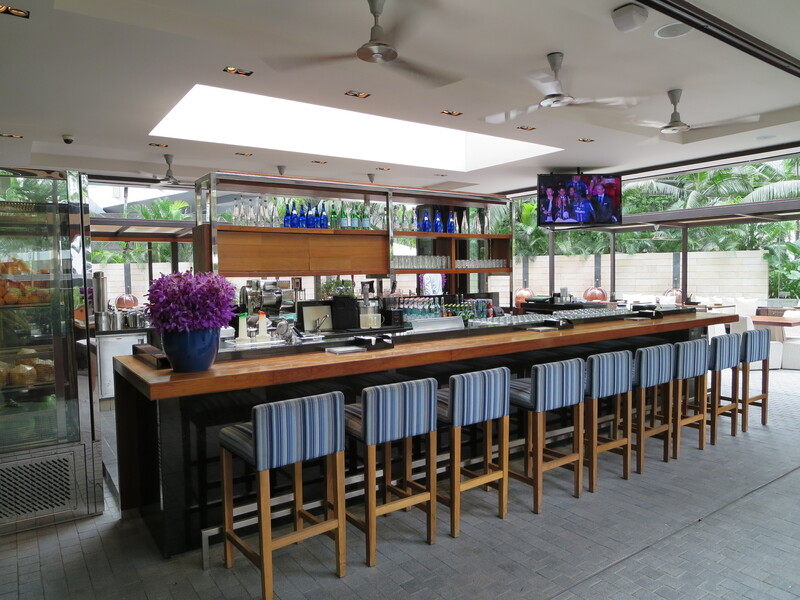 The interior is a up-scale trendy cafe divided into Chinese, Malay/ Indian and Dessert show kitchens so you don’t get to miss out any actions at the local hawker stalls on the streets. 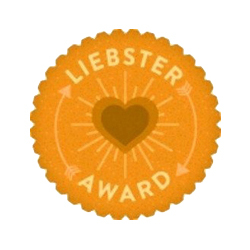 The waiters and waitresses are super-friendly and highly efficient. I’m loving the quirky blue jeans which is rather mod. So here’s how I introduced the Malaysian specialties. With a vegetarian amongst us, JP Teres did well to accommodate a vegan. Satays: Sweet meaty bites of beef and chicken to be dipped into sweet peanut sauce. Beats the gamey satays served by MAS hands down, I must say. I enjoyed the ‘lontongs’, which are compressed rice and a very traditional Malay delicacy. 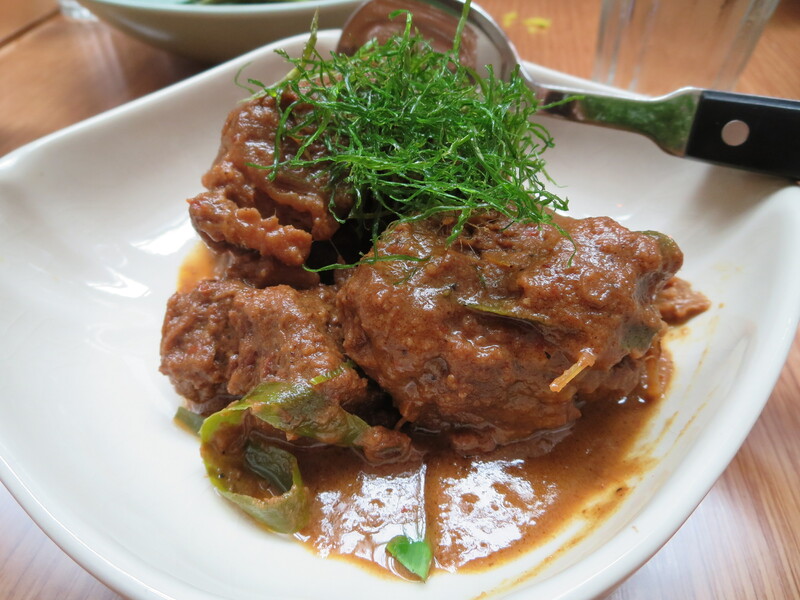 Beef Rendang: Also know as ‘caramelised beef curry’. 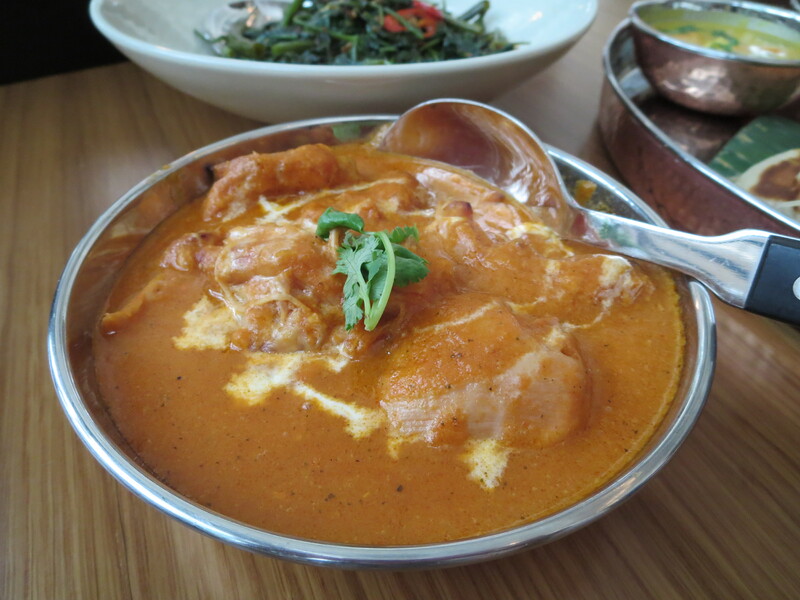 This is my favourite dish of all, beef simmered for hours on end in rich spices and coconut milk. Kangkong Belacan/ Kangkong Garlic (Vegetarian): Kangkong is also known as ‘morning glory’. I’ve been advised not to eat too much of this veg from the swamps as it aggravates arthritis. Belacan is dry shrimps paste. 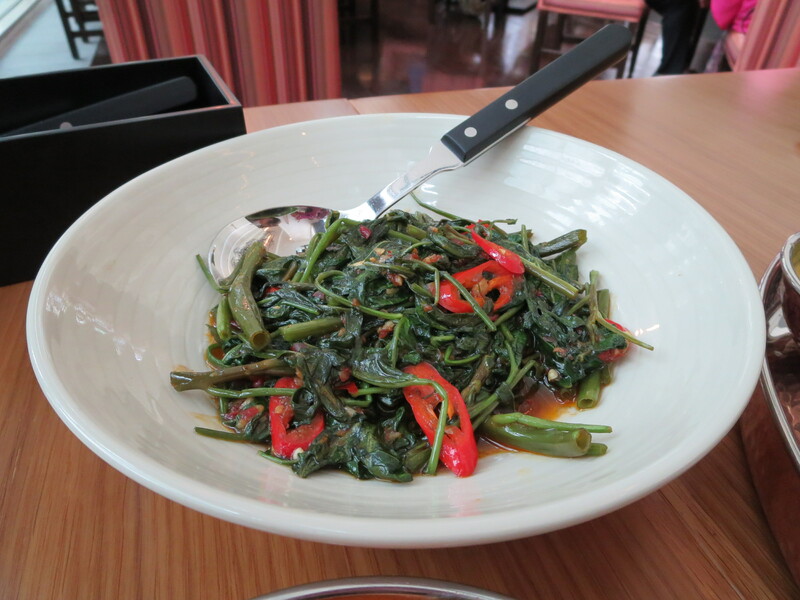 We also ordered Kangkong with garlic for our vegetarian friend and that tasted marvellous as well. Nasi Biryani (Vegetarian). 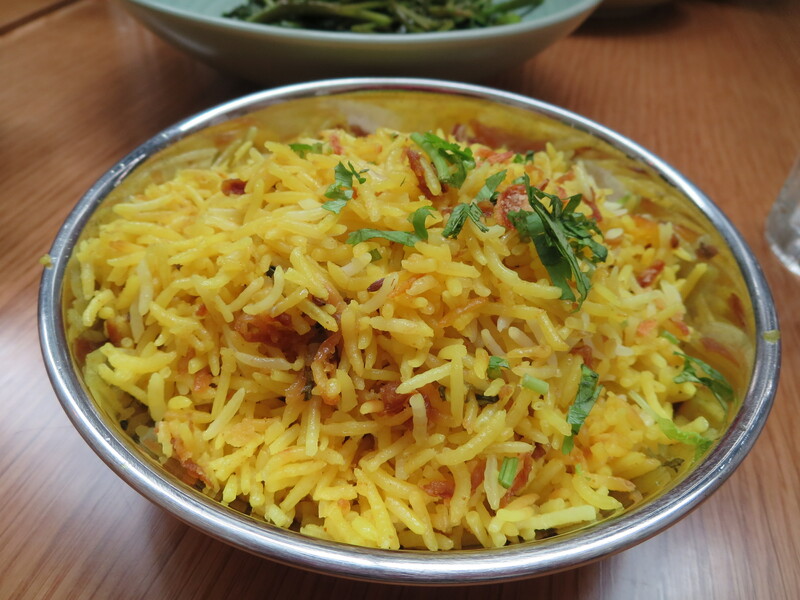 This is an aromatic rice fried in saffron with an Indian origin. 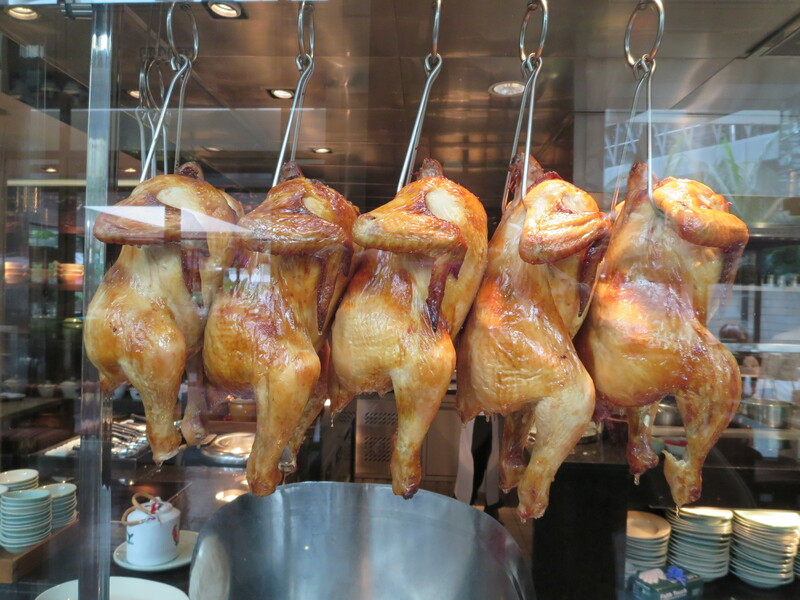 Perfectly cooked with the individual rice grains separate. Plain Roti Canai (Vegetarian): An Indian-influenced specialty, also known as ‘roti phrata’. Flat, fluffy on the inside but crispy and flaky on the outside. 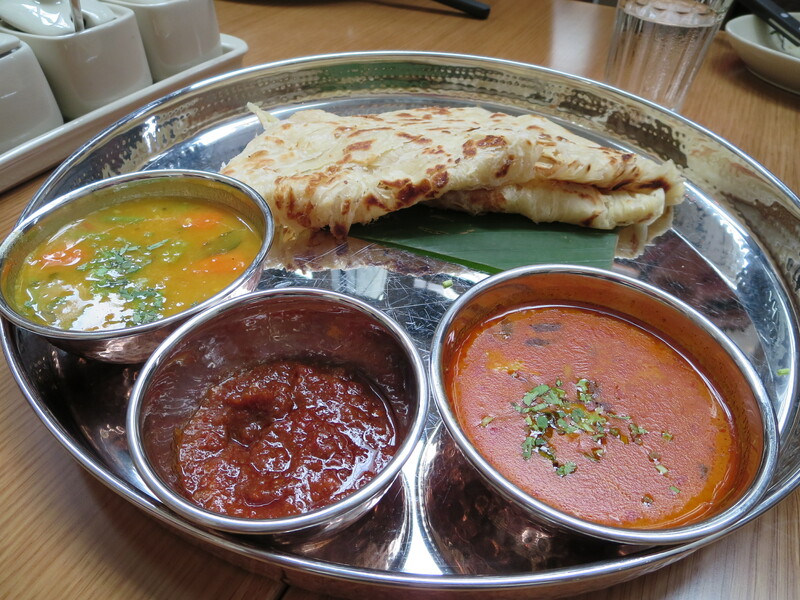 Came with 3 dips – dhal, sambal ikan bilis (small fish in spices) and curry. 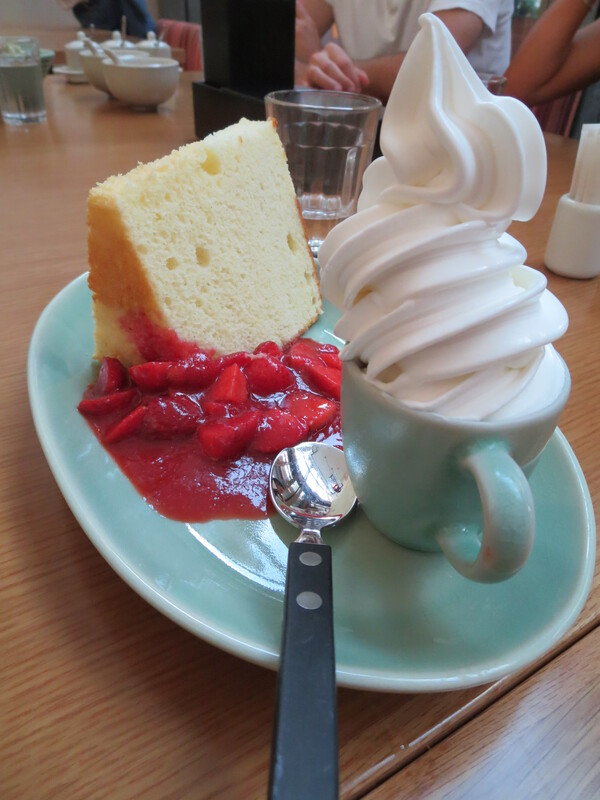 Chiffon cake wtih Soft-serve and strawberries: The glossy soft-serve looks invincible under the watchful eyes of our table. 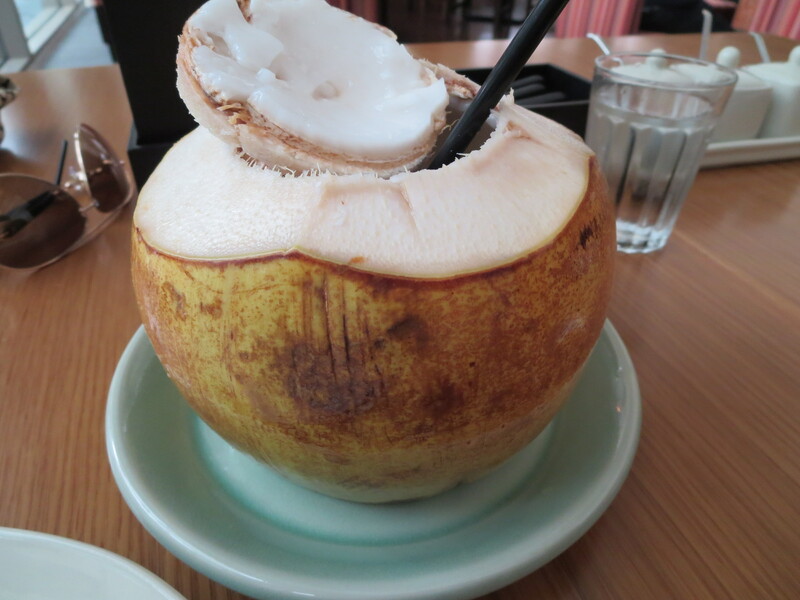 Sago Gula Melaka (Vegetarian): A sago pudding in ‘santan’ (coconut milk) and ‘gula melaka’ (palm sugar). JP Teres is definitely a winner. The pungent aroma of Assam Laksa which I smelt on my way to the Ladies’ – gosh, you should visit the Loo, the door slides open by pressing a black button – makes me want to try the laksa next time and also the Rojak Buah, both famed Malaysian local dishes. 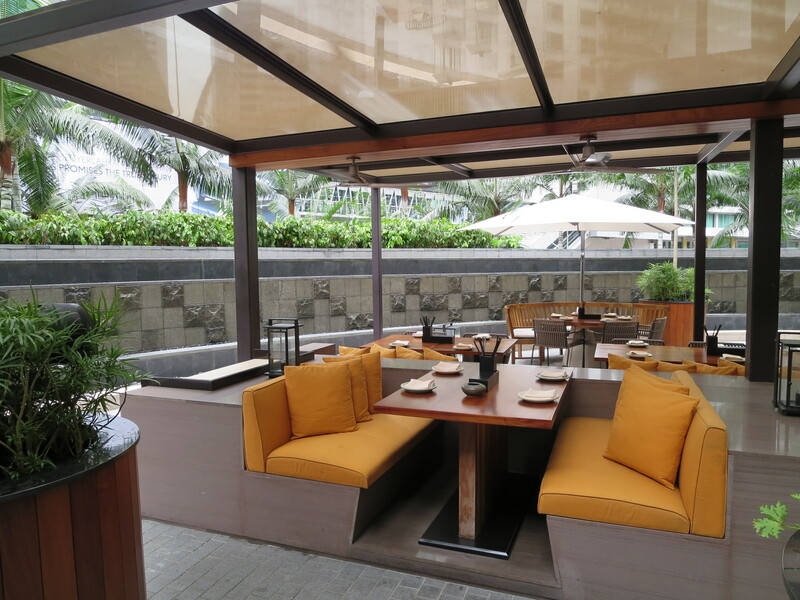 Here are pictures of the outdoor bar/ alfresco terrace dining area. 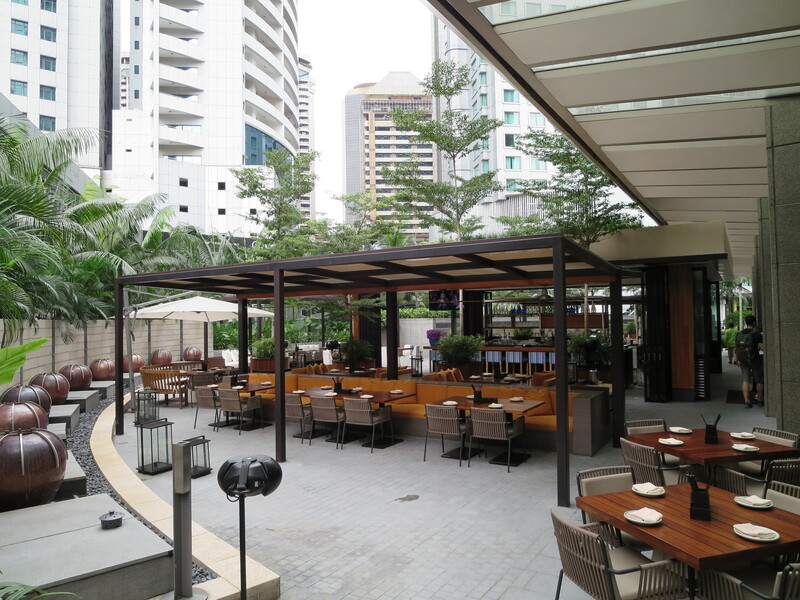 This entry was posted in Kuala Lumpur, Lunch, Malaysia, Restaurant Review and tagged Central Market, Grand Hyatt Hotel, Grand Hyatt Hotel KL, High-end Cafe, JP Teres, Malaysian Specialties, Malaysian Vegetarian Specialties, Satay, Vegetarian Meal. Bookmark the permalink.